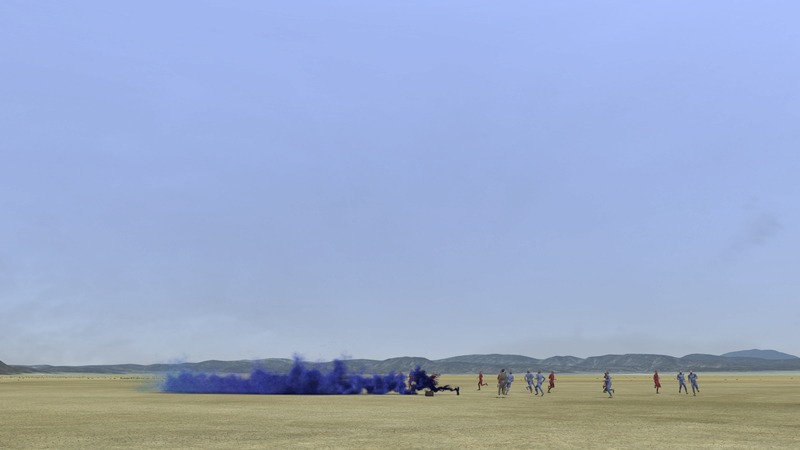 Further developing Gerrard’s realtime portraits of physical locations, Exercise (Djibouti) 2012 harnesses simulation and motion capture technologies to create a temporal collage in which disciplined athletic bodies perform a perpetual militarised exercise of strategic capability and intent. 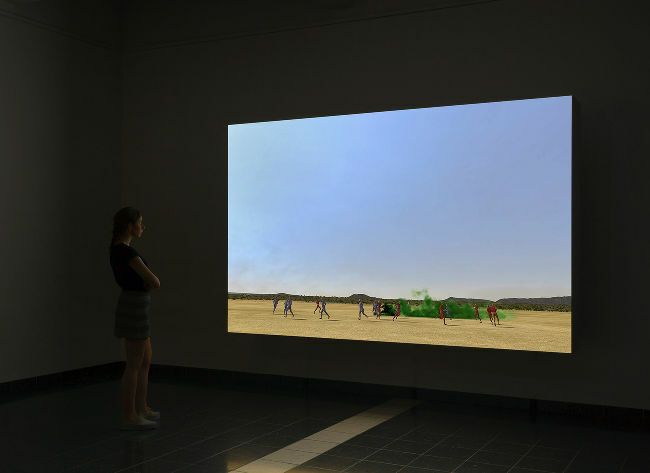 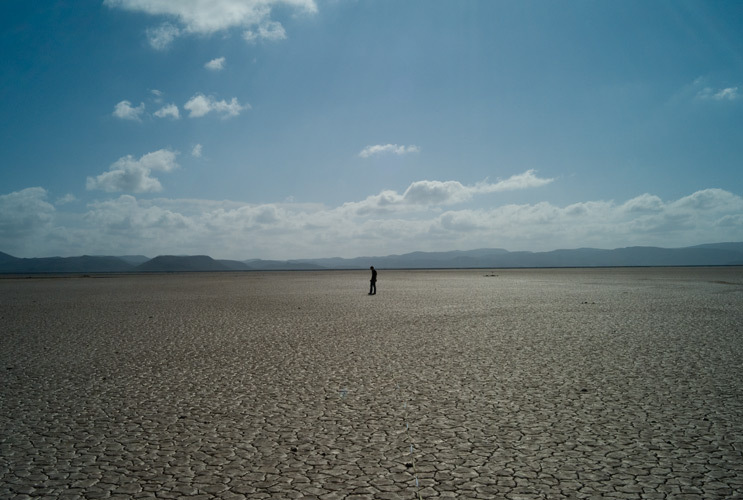 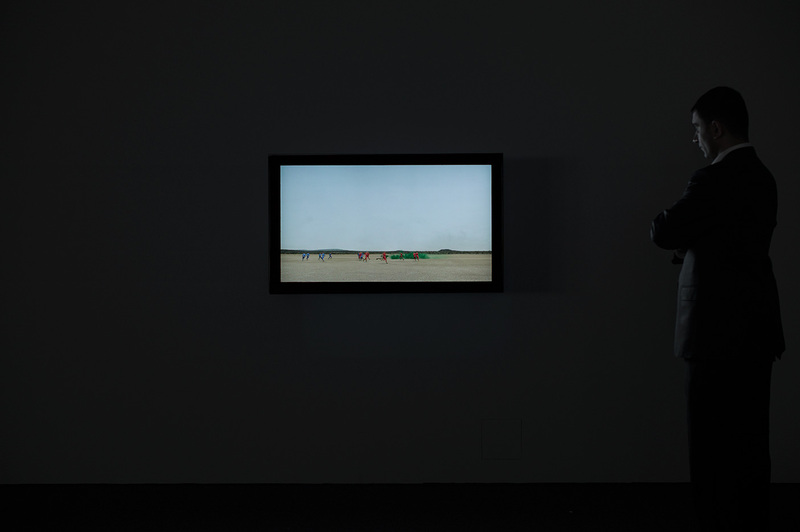 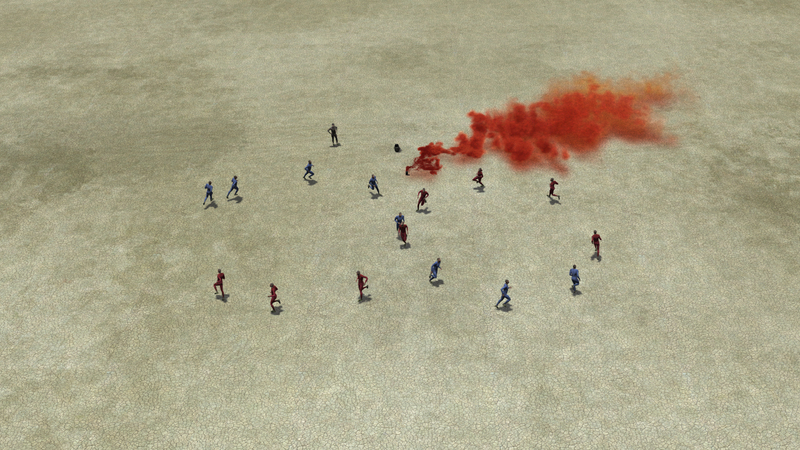 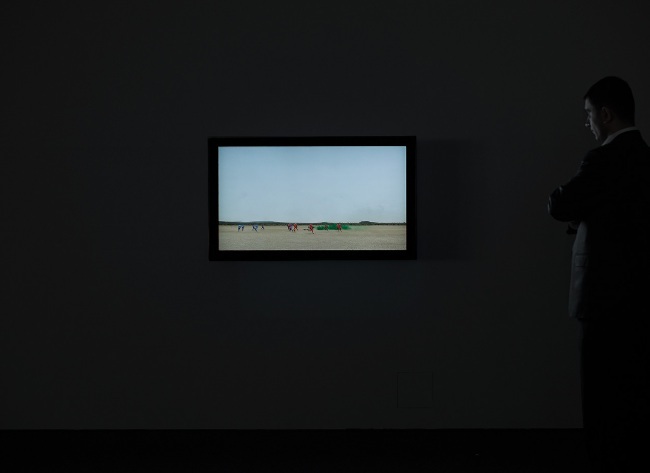 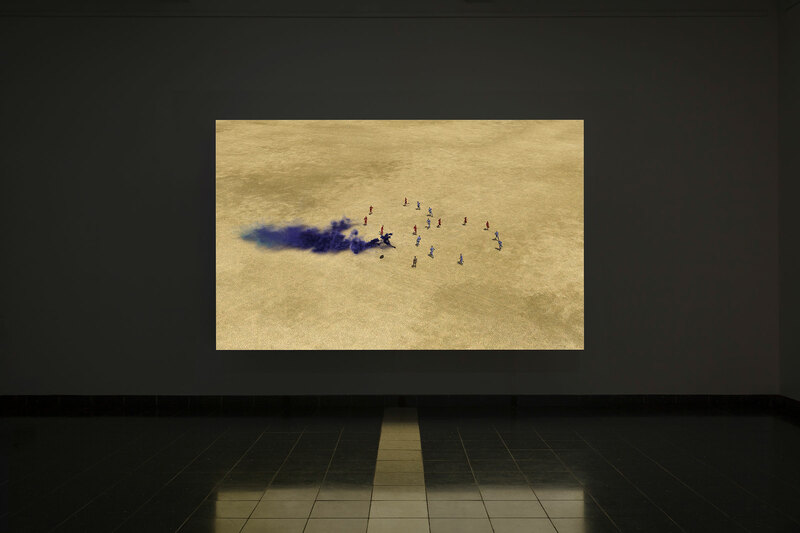 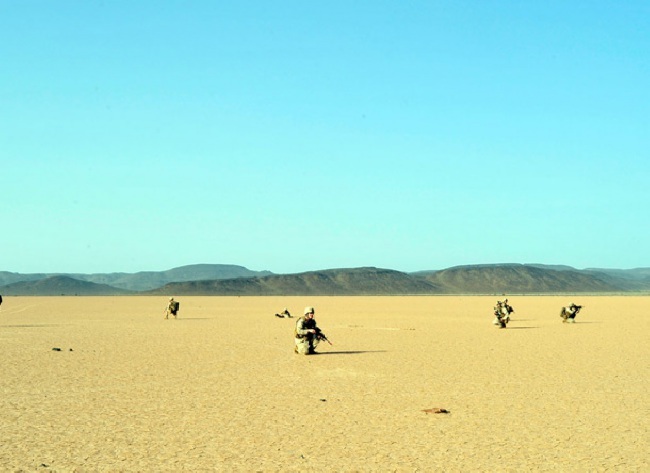 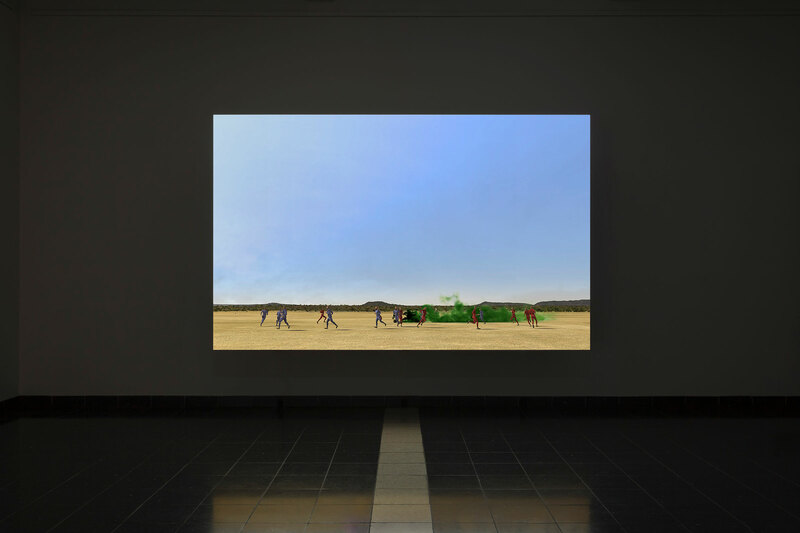 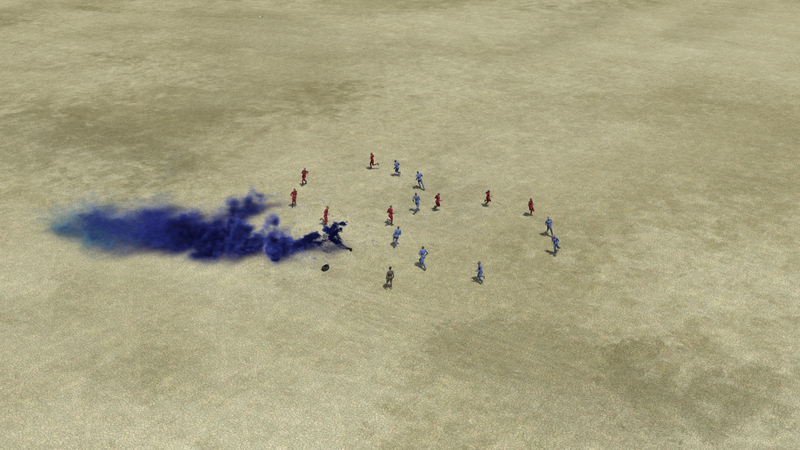 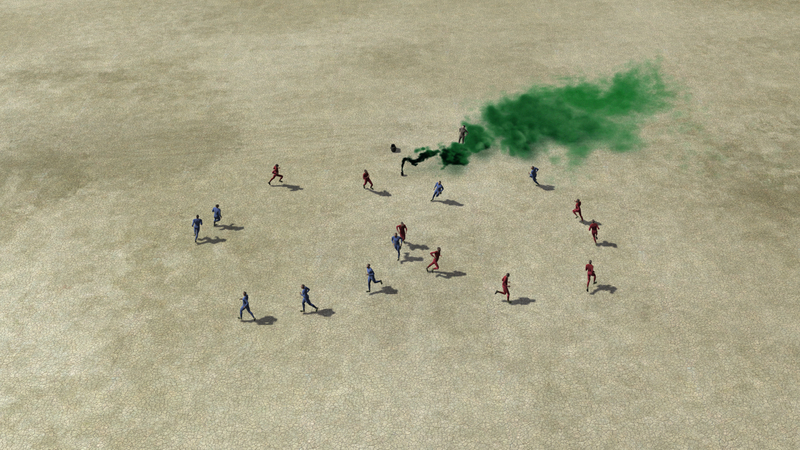 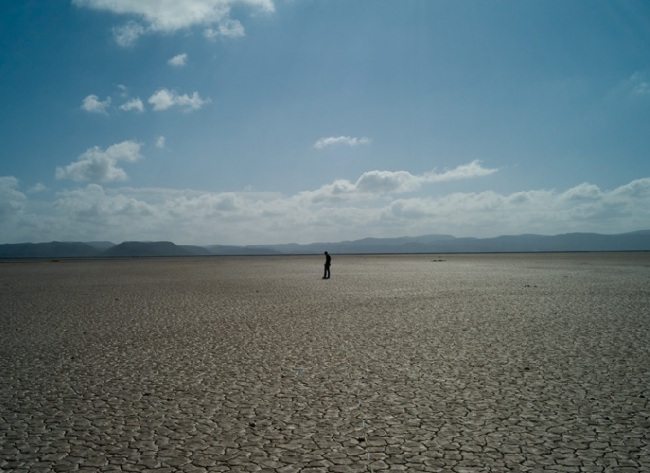 On a simulation of the barren landscape of Djibouti in the Horn of Africa, two teams of computer-generated figures meet daily at dawn to initiate a series of cryptic gestural routines – precise, repetitive, faintly antagonistic. 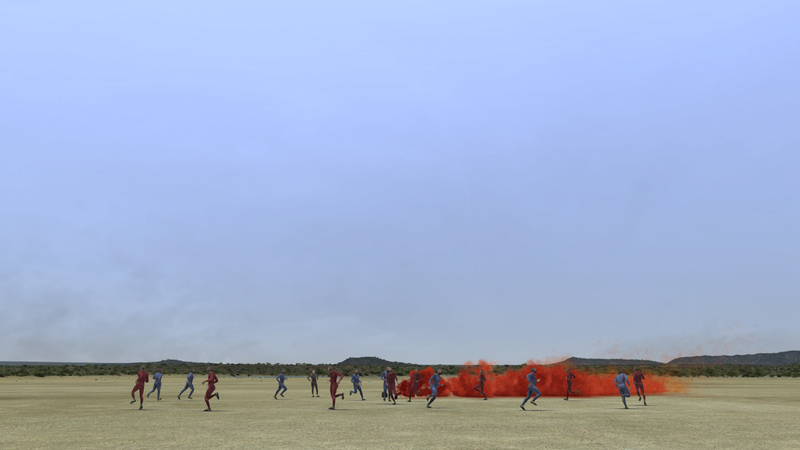 Just as the landscape is a painstaking, extremely complex reproduction of an actual space that was generated using photographs and satellite data, the figures in Exercise (Djibouti) 2012 were generated by engaging a group of elite athletes in training for the London 2012, whose actual movements were converted to data with the latest motion-capture technologies. 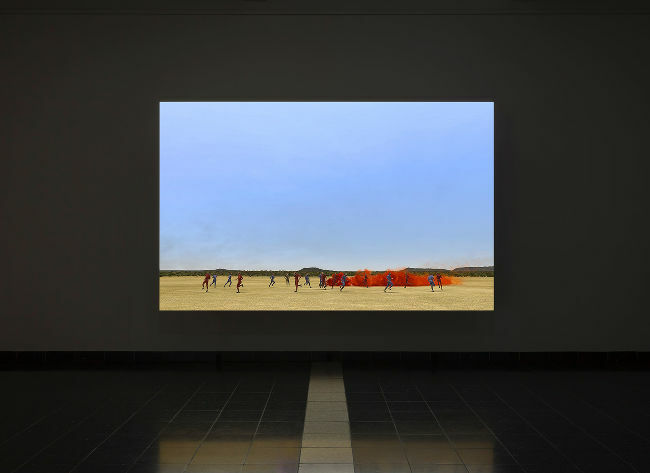 Neither completely synthetic nor strictly real, the work exists in ‘real time’ (Djibouti: GMT +3 hours), orbiting over a yearly cycle that incorporates the movements of sun, moon and stars. 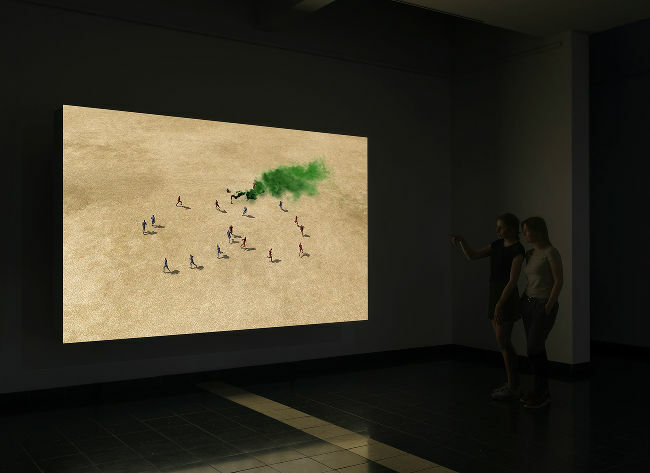 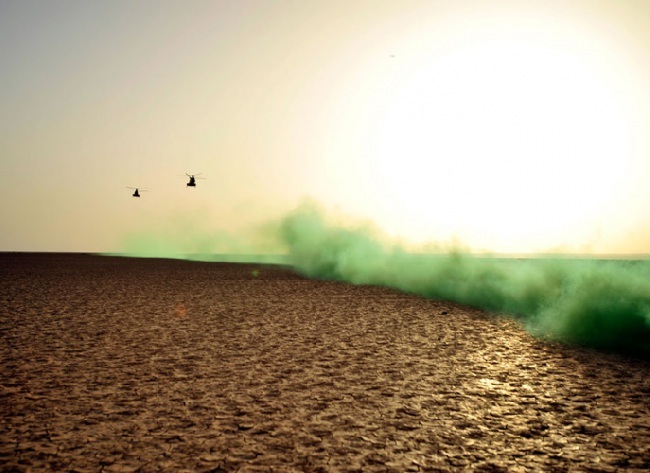 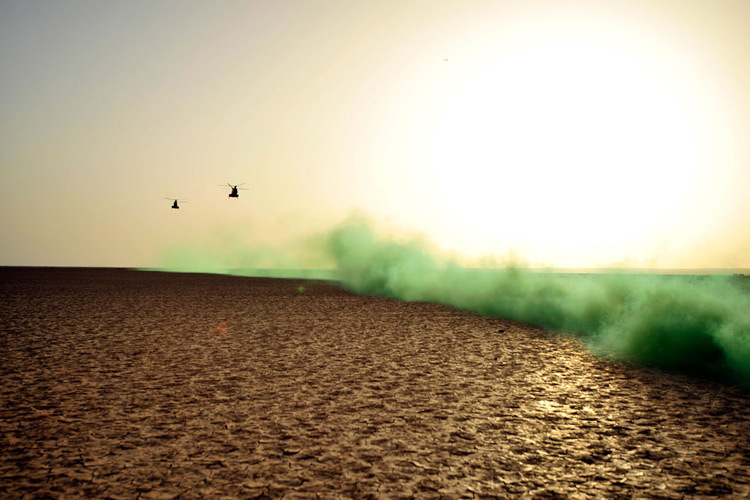 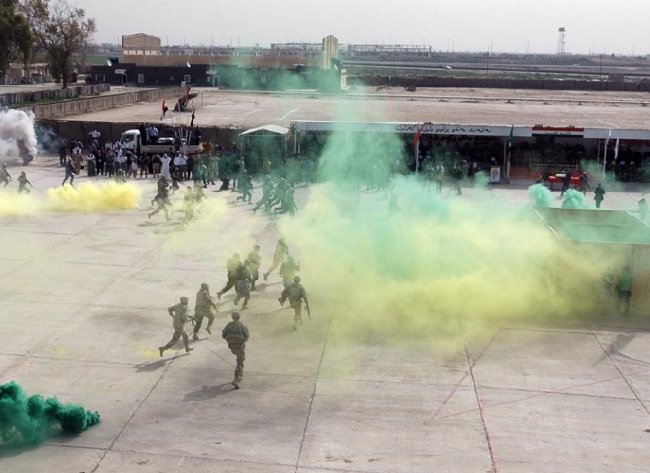 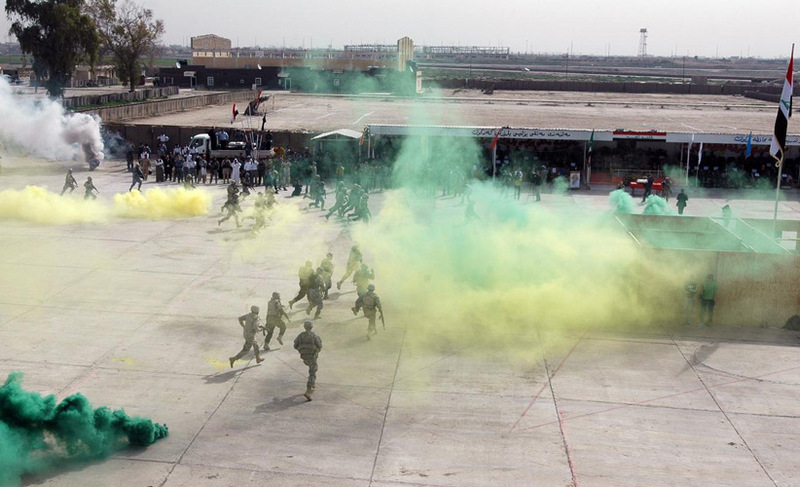 Exercise (Djibouti) 2012 is commissioned by the Ruskin School of Drawing & Fine Art, Oxford University Sport and Modern Art Oxford and forms part of the London 2012 Festival. Supported by the National Lottery through Arts Council England, Culture Ireland, John Fell OUP Fund, Calouste Gulbenkian Foundation, Podium and Magdalen College, Oxford, the project also forms part of RELAY, a region-wide programme of new visual arts commissions and live events across the South East to mark the Olympic year. 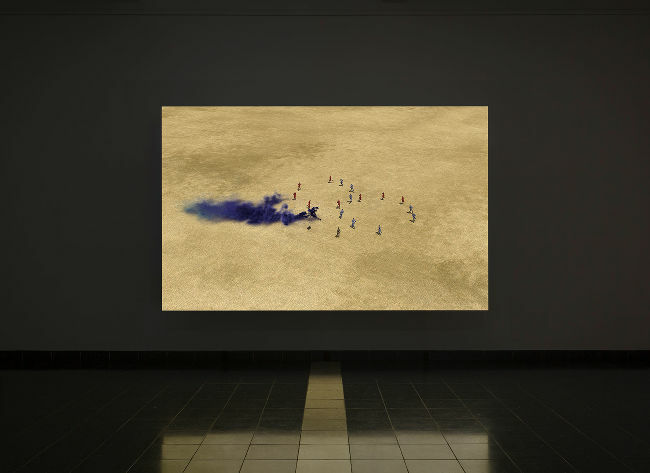 Solo exhibition curated by Michael Stanley, Director, Modern Art Oxford, Paul Bonaventura, Senior Research Fellow in Fine Art Studies, University of Oxford and Emily Korchmáros, Curator, Modern Art Oxford. 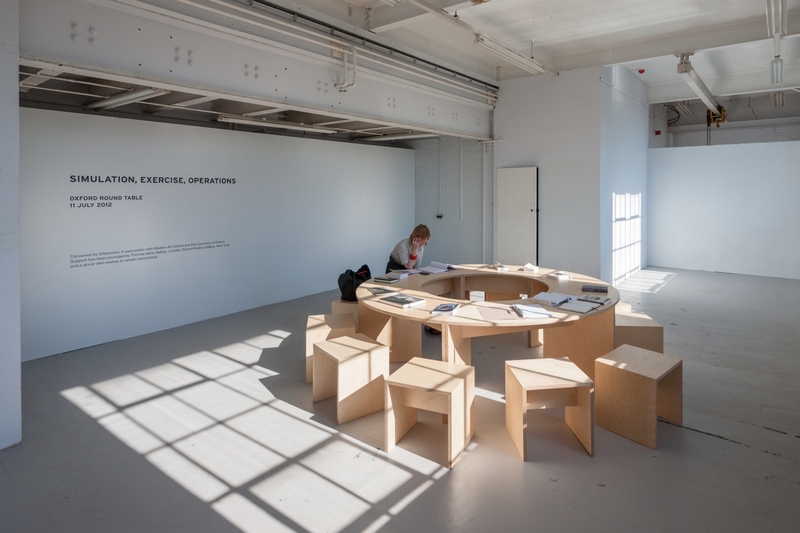 July 2012: A round table discussion co-hosted by Modern Art Oxford, Urbanomic, The Ruskin School of Drawing and Fine Art, and University of Oxford. 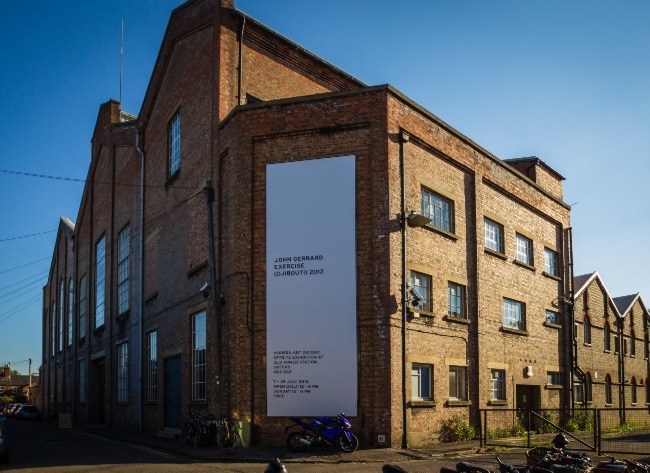 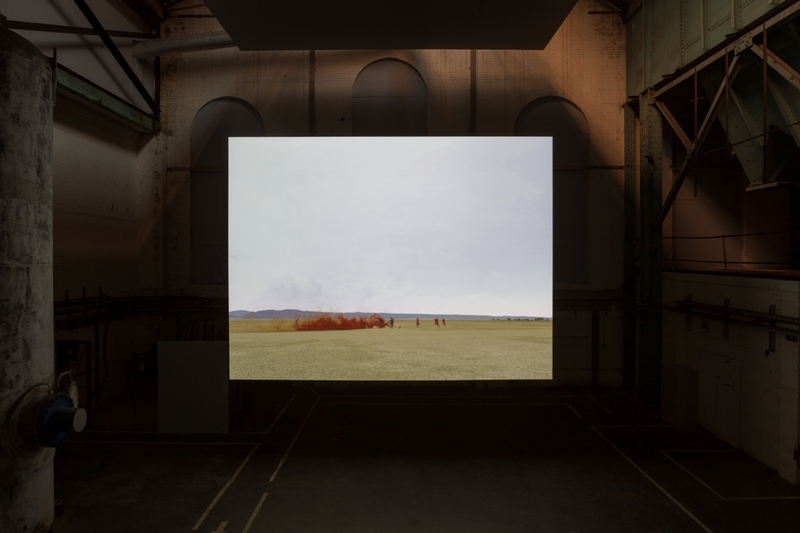 The event took place at the Old Power Station in Oxford, site of the installation of John Gerrard's commission Exercise (Djibouti) 2012. 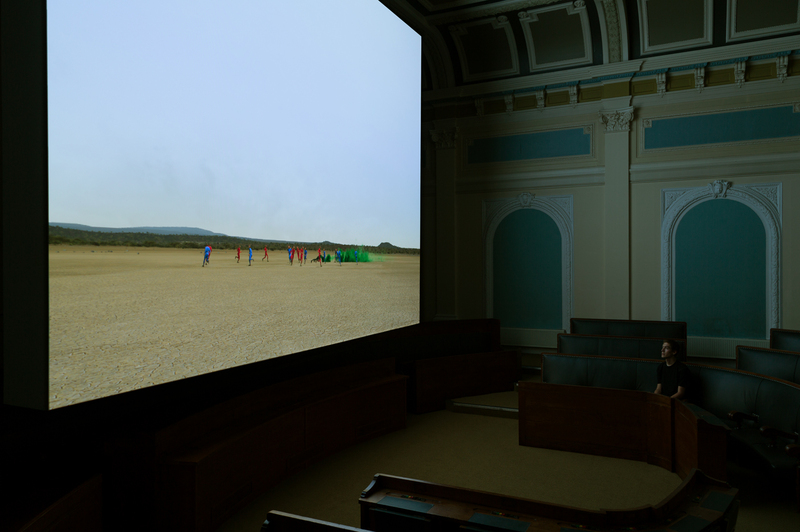 Participants: Antoine Bousquet (Birkbeck, London), Shane Brighton (University of Sussex), James Der Derian (Brown University), Mark Fisher (Goldsmiths University of London), Mark Hansen (Duke University), Stepan Kment (Bohemia Interactive), Robin Mackay (Urbanomic) [Chair], Eyal Weizman (Goldsmiths), Eivind Røssaak (National Library of Norway), Anne-Franoise Schmid (École des Mines de Paris), Donna de Salvo (Whitney), McKenzie Wark (New School, NY). 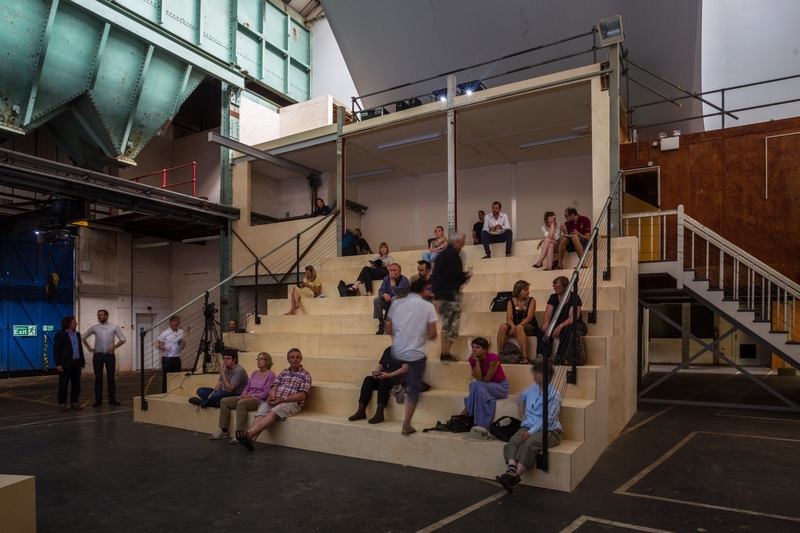 As space is limited, attendance is by invitation only. 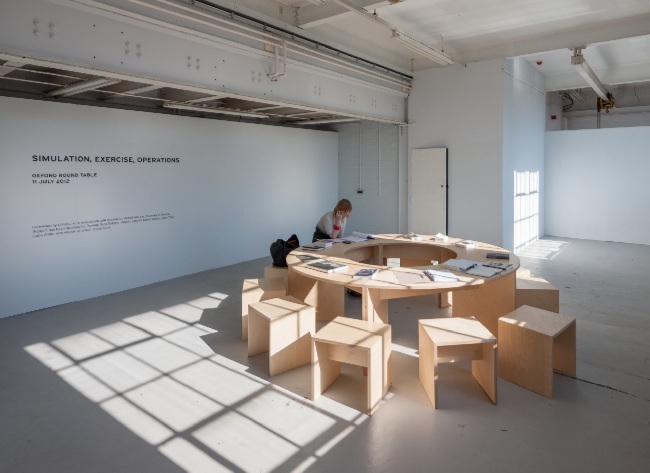 Proceedings of the round table discussion will be transcribed and made available on-site, and will form a part of a future publication. 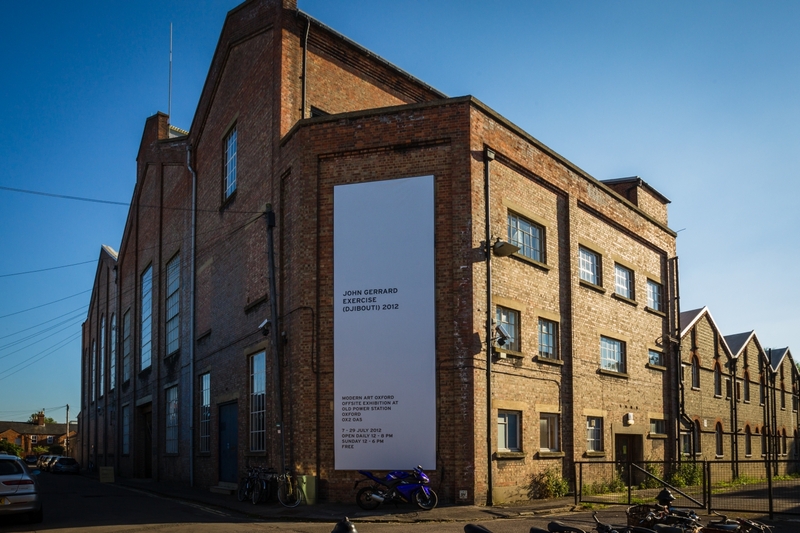 Installed at the Old Power Station, Oxford under the auspices of Modern Art Oxford. 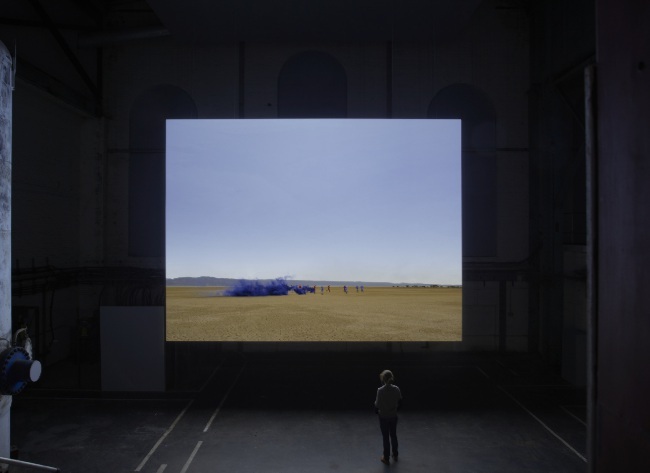 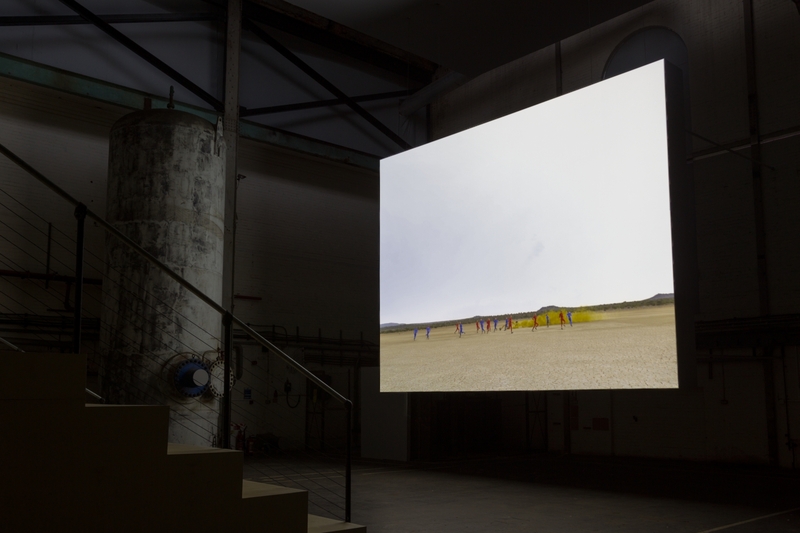 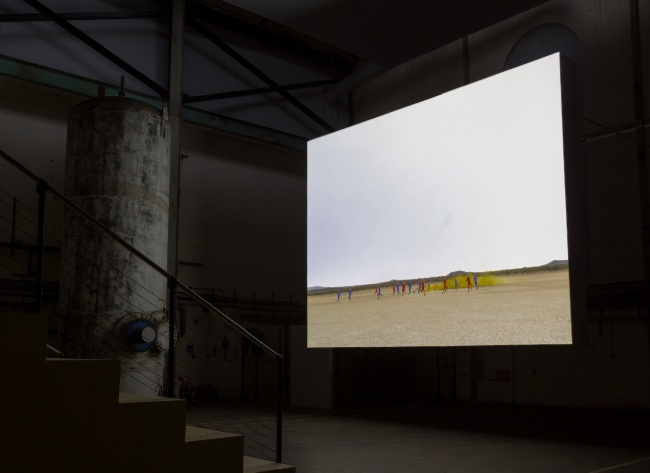 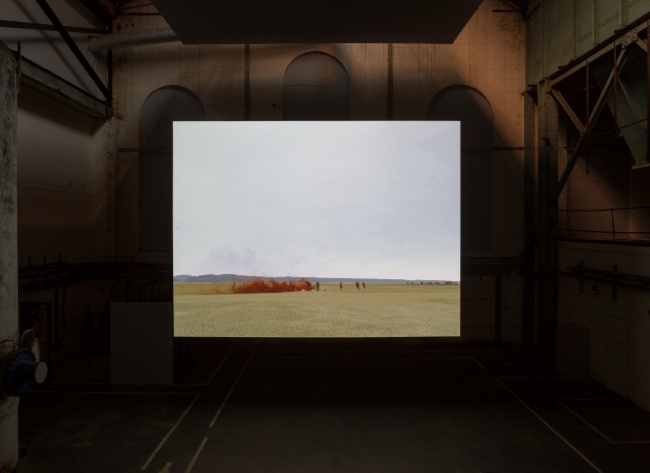 The latest project in Modern Art Oxford’s offsite programme, Exercise (Djibouti) 2012 by John Gerrard was presented as a large-scale cinematic installation in the dramatic setting of a disused powerstation in Oxford. Exhibition curated by Paul Bonaventura, Senior Research Fellow in Fine Art Studies, University of Oxford, Michael Stanley, Director, Modern Art Oxford and Emily Korchmáros, Curator, Modern Art Oxford. 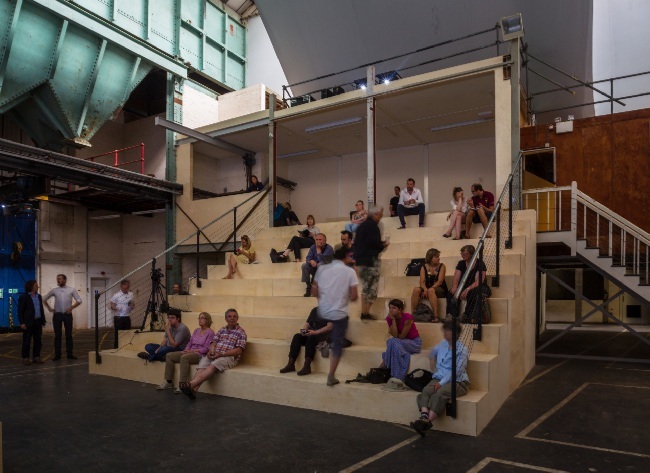 July 2012: A round table discussion co-hosted by Modern Art Oxford, Urbanomic, The Ruskin School of Drawing and Fine Art and University of Oxford. 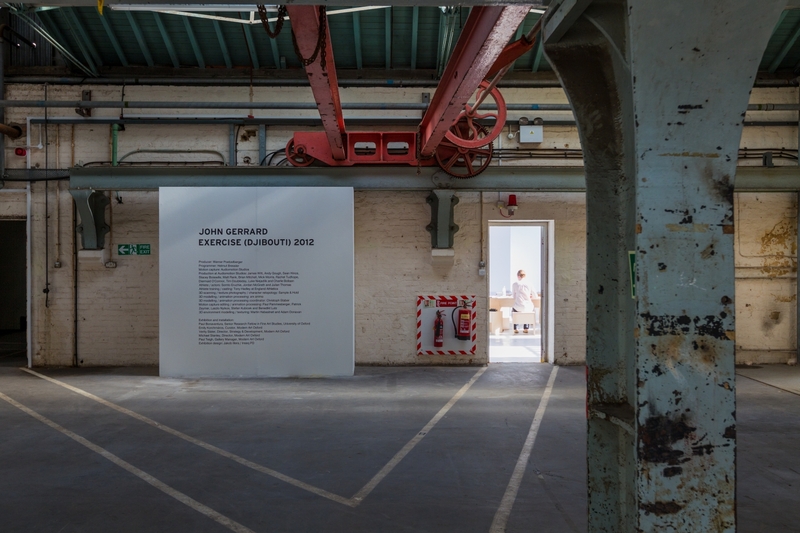 The event took place at the Old Power Station in Oxford, site of the installation of John Gerrard's commission EXERCISE (DJIBOUTI) 2012. The Round Table was supported by Thomas Dane Gallery, Simon Preston Gallery and a donor who wishes to remain anonymous. 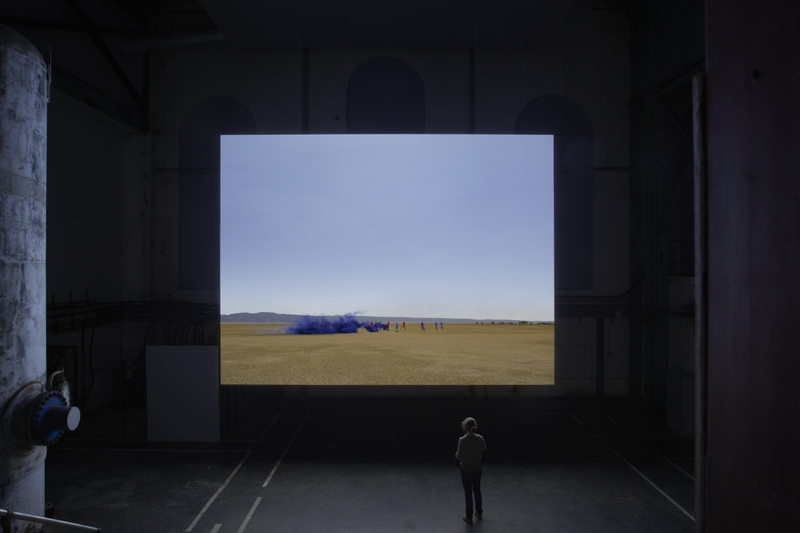 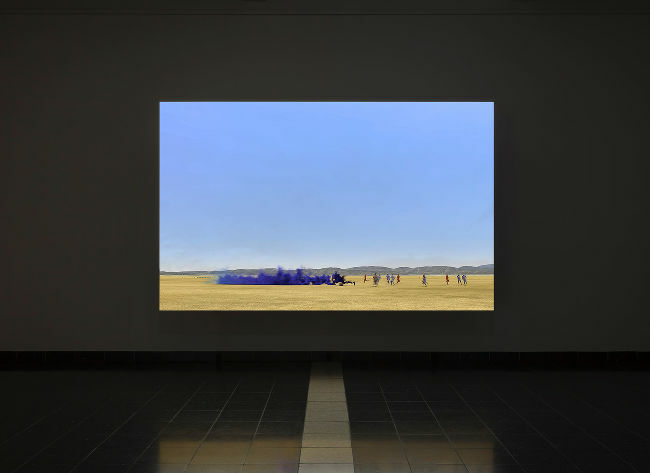 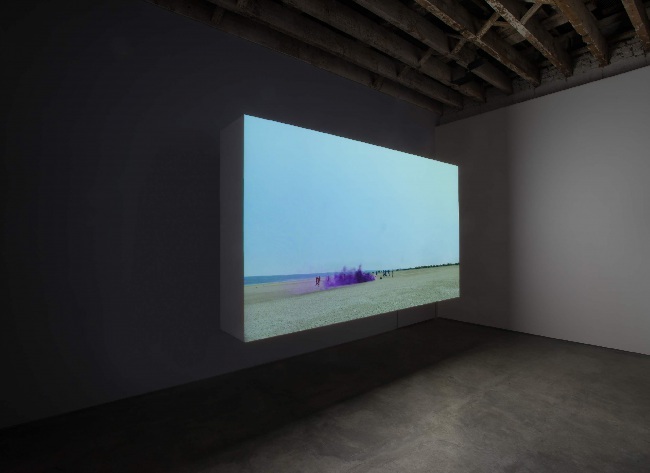 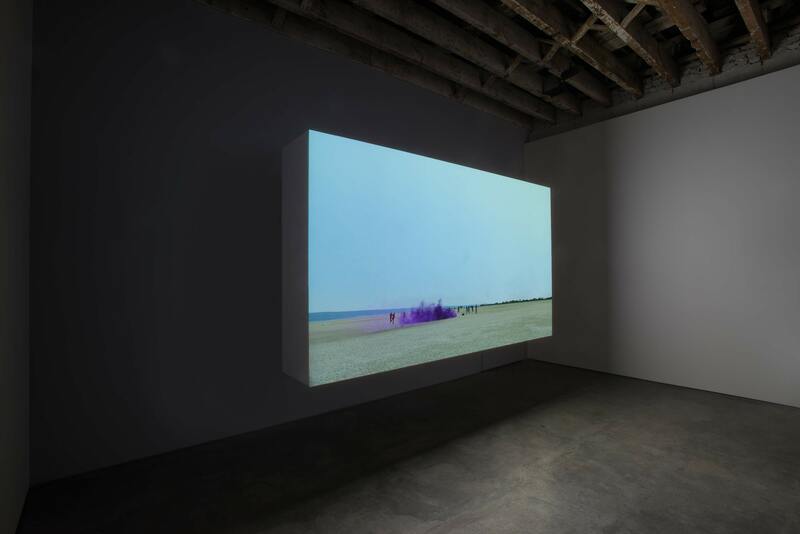 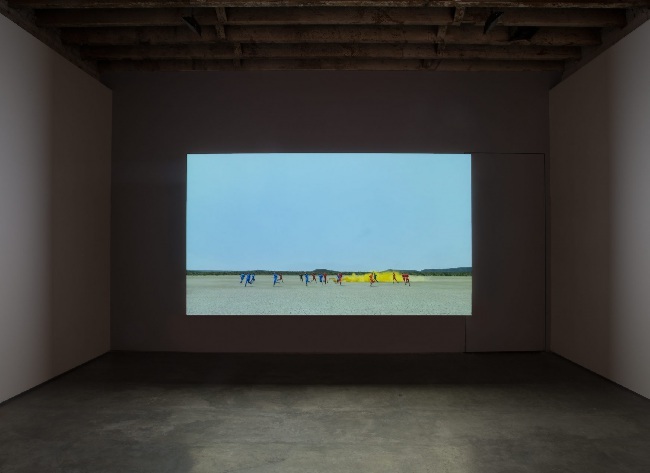 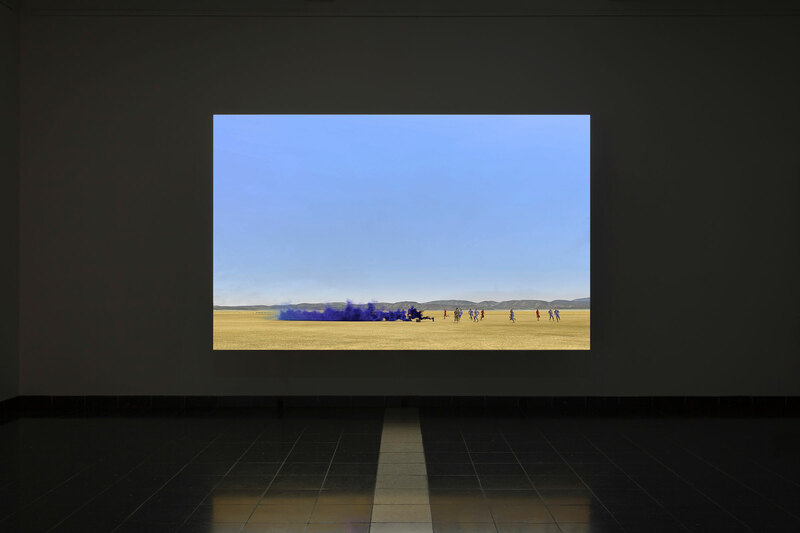 Simon Preston Gallery is delighted to present a survey of recent major simulations by John Gerrard. 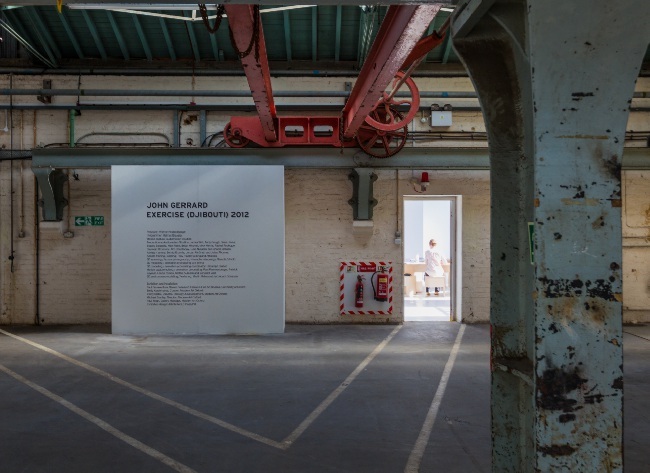 ***The premiere of Exercise (Djibouti) 2012 at the Old Power Station, Oxford was accompanied by a round table titled 'Simulation, Exercise, Operations', convened by Urbanomic and organised in association with the University of Oxford. 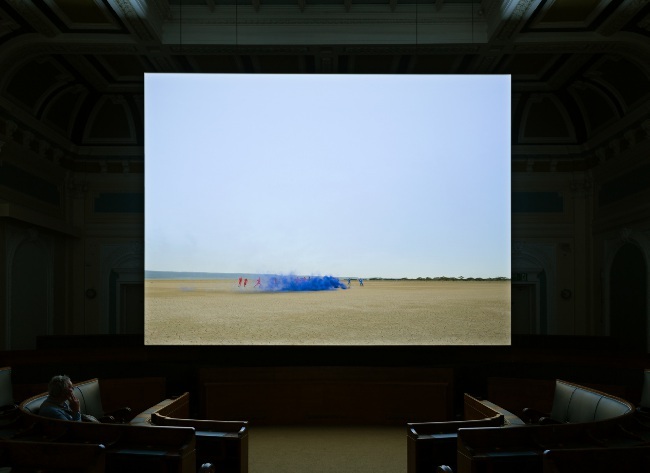 Installed at Southwark Old Town Hall under the auspices of South London Gallery. 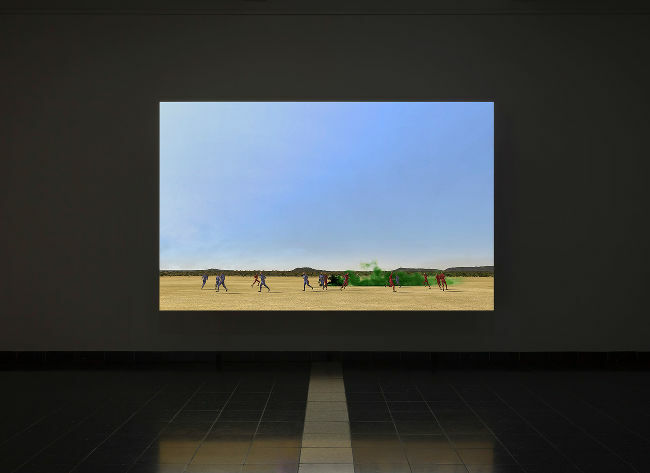 Pursuit of Perfection: The Politics of Sport brings together art works which, in different ways and to varying degrees of seriousness or wit, play on some of the issues raised by sport, the politics surrounding it and its representation in the media. 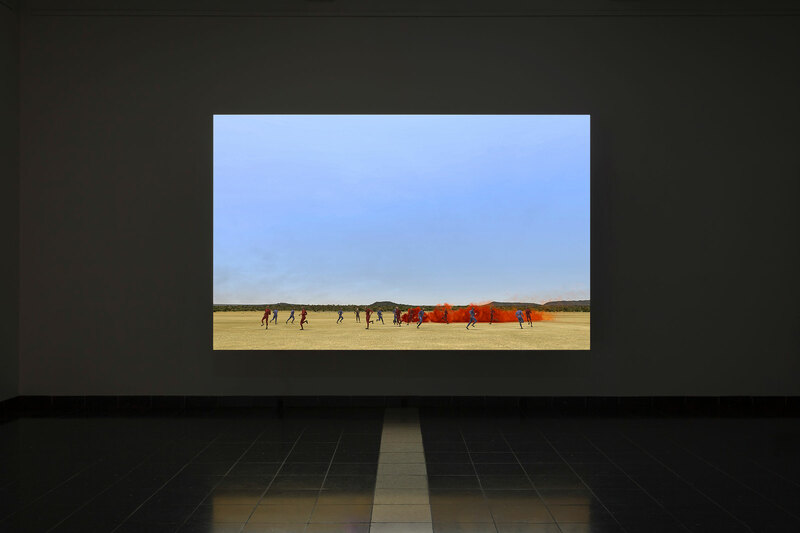 Aleksandra Mir’s spectacular installation Triumph, 2009, comprises 2,529 trophies; a sound piece by Janice Kerbel presents a specially scripted baseball commentary; and works by Roderick Buchanan, Lucy Gunning, Jonathan Monk, Ariel Orozco and Paul Pfeiffer take football as their subject. 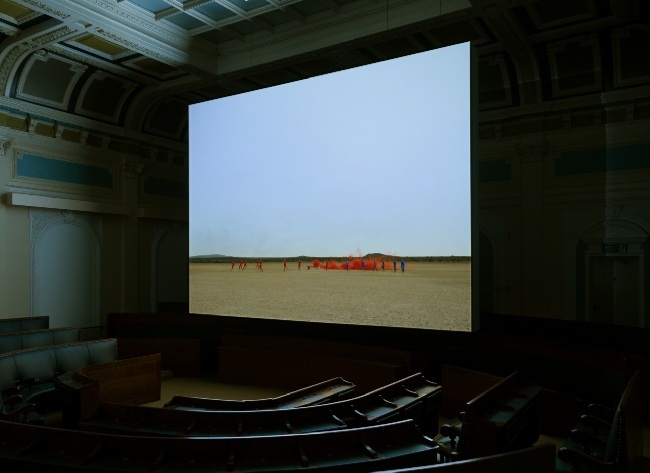 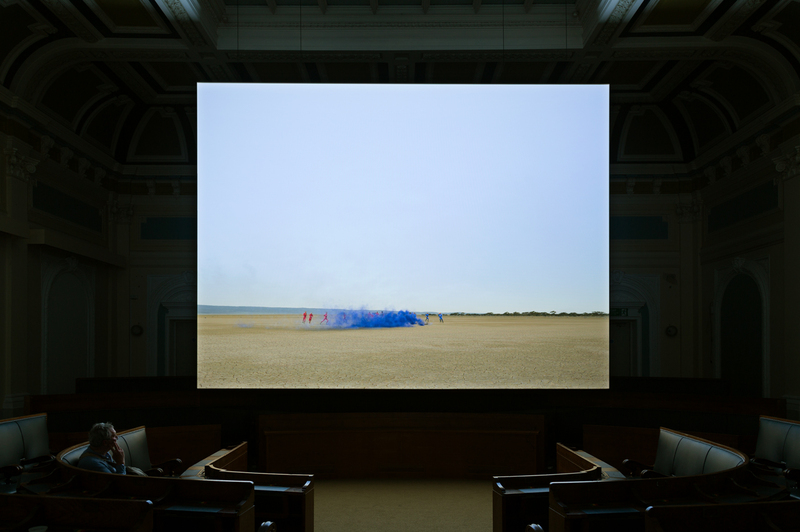 In Southwark Old Town Hall, John Gerrard’s Exercise (Djibouti) 2012 uses digital technologies to explore aspects of sport, spectacle, military exercise and power. 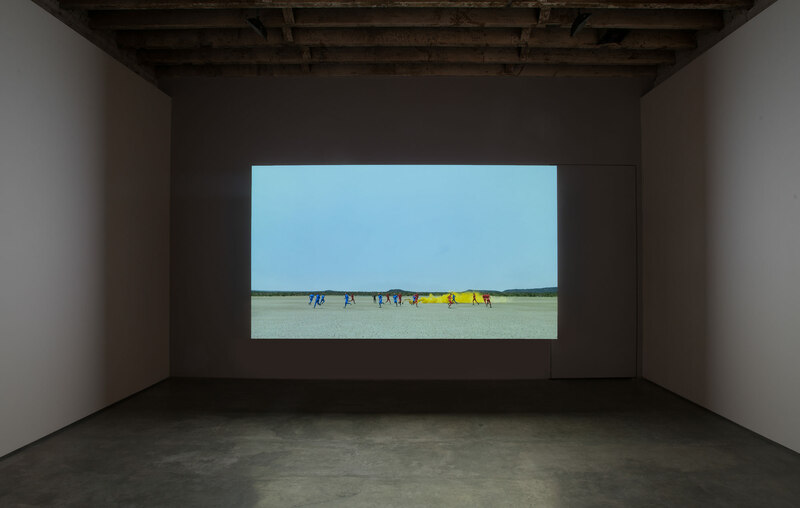 In stark contrast, Michel Auder’s low-tech video collage of clips from TV coverage of the 1984 LA Olympics focuses on the human body, eroticised and mechanised in its pursuit of perfection.